EYES ----> It is on the verge of a Big Breakout!! 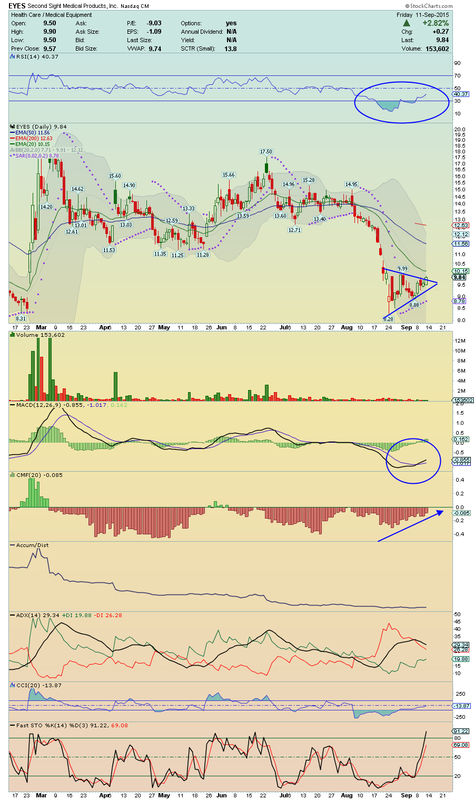 The stock reached the Bottom, formed a solid base, and now, is showing some relative strength!! 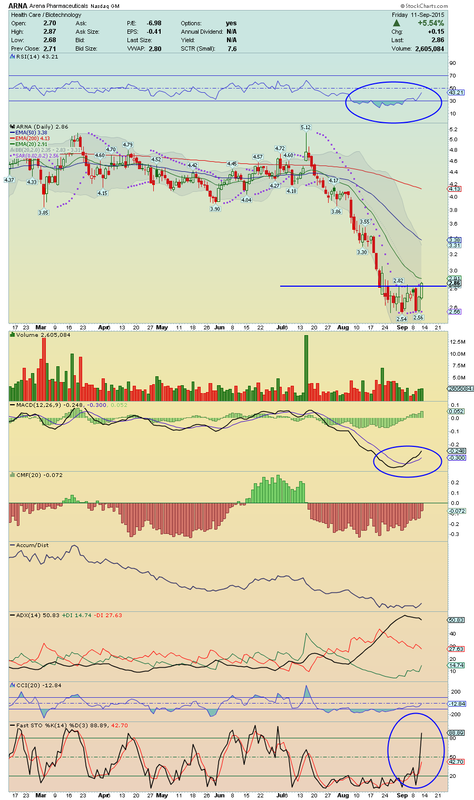 The strong positive divergences on chart could meaning that buyers are back!! 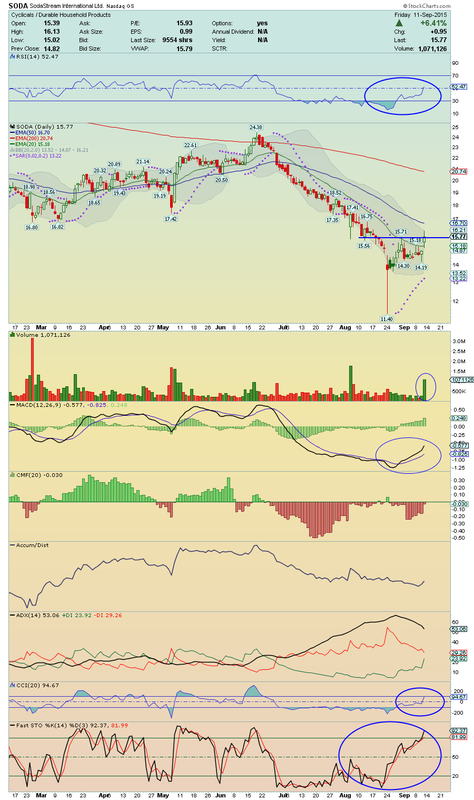 I´ll be watching closely for the break above its 20EMA!! 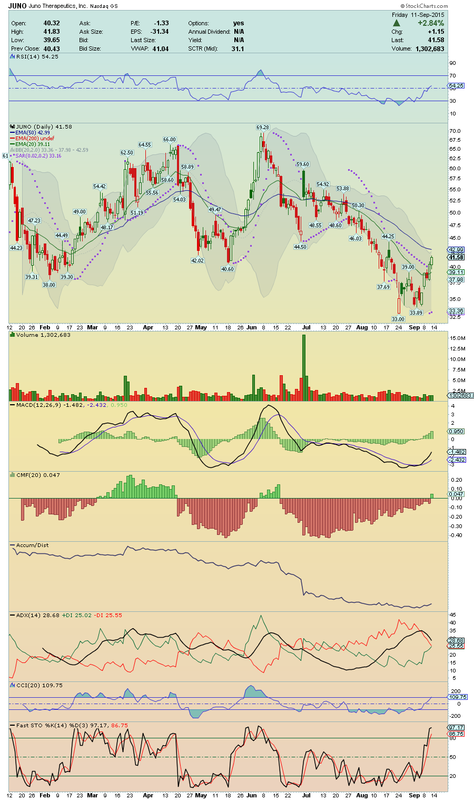 On volume, it can make a strong run up toward its 50EMA!! Looks ready to move on, this setup!! Stay Tuned!! 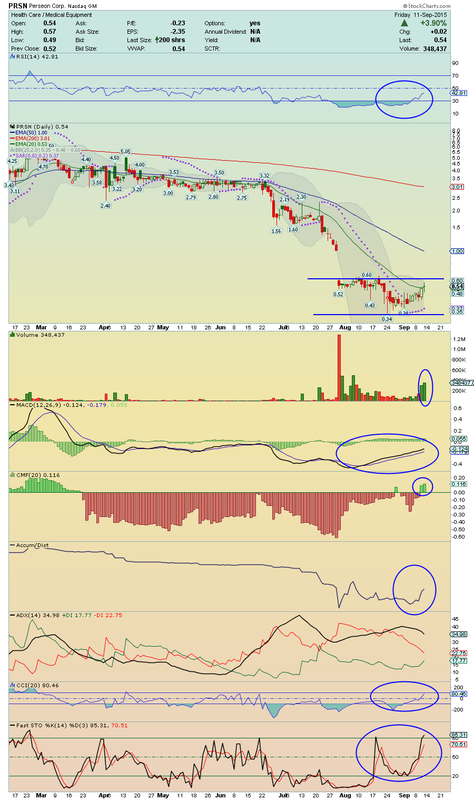 ARNA ---> We have here a Bottom Bounce ready to explode!! The stock reached the bottom, formed a solid base, and the strong breakout of the last trade session with decent volume leads me to believe that, a break above its 20EMA with high volume will boost it for a strong squeeze toward its 50EMA!! It will gain a large and clean room to moving up!! For the technical side, we are getting strong Buy Signals by its RSI and by its Bullish MACD and Fast Stochastic Crossovers!! All other indicators are starting to curling up!! The Momentum is starting to appear!! SODA ---> Interesting Chart!! 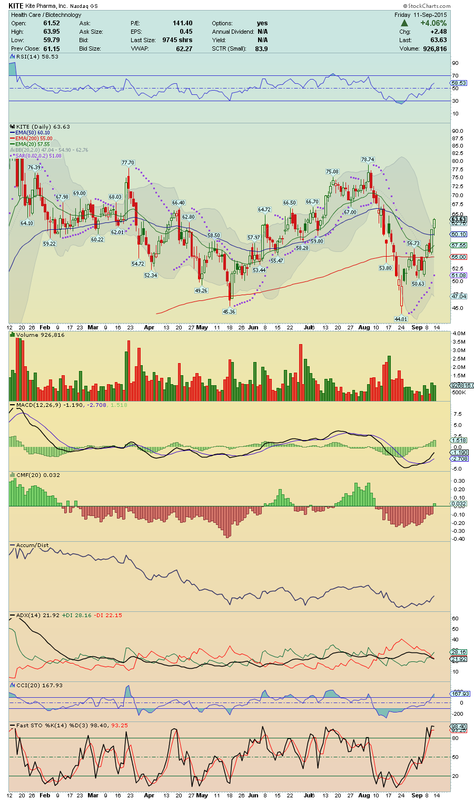 It made a strong trade session and a strong Breakout with heavy volume!! All indicators are curling up, showing a strong increase of its Momentum!! I´ll be watching closely on Monday for a possible test to its 50EMA!! We may have here the begining of a strong Bounce!! CRBP ---> It is setting up for a possible resistance breakout!! 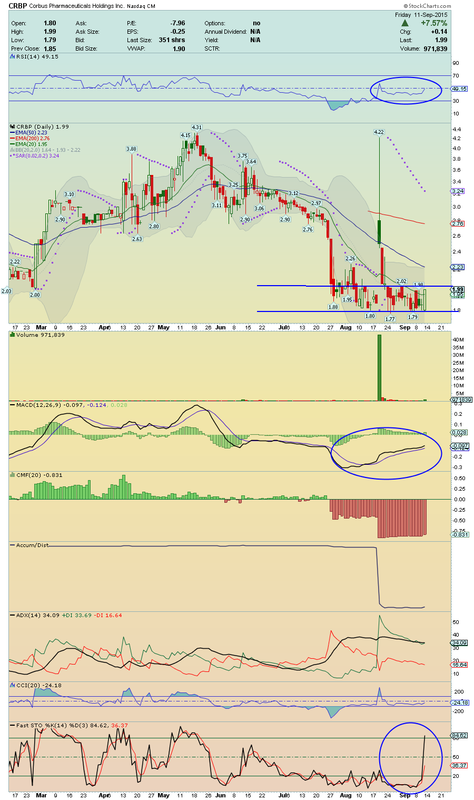 It could reach its 50EMA very fast if break above $2.02 with high volume again!! 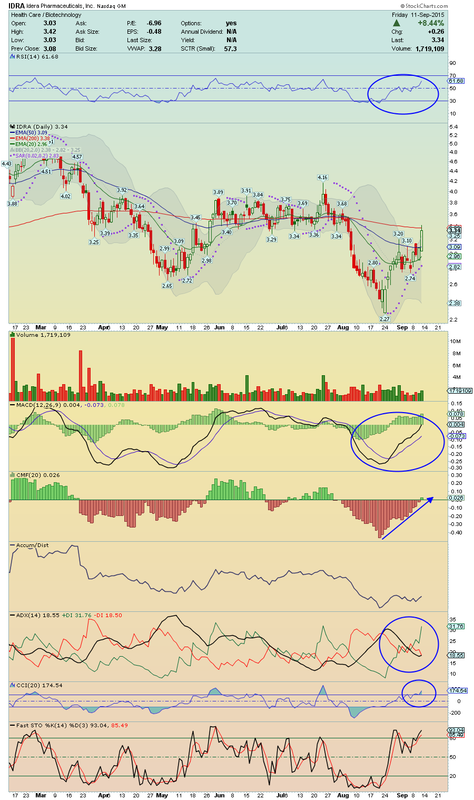 Chart is displaying strong positive divergences, proving that buyers are in charge!! It is a Potential Upside Runner to watch on Monday!!! 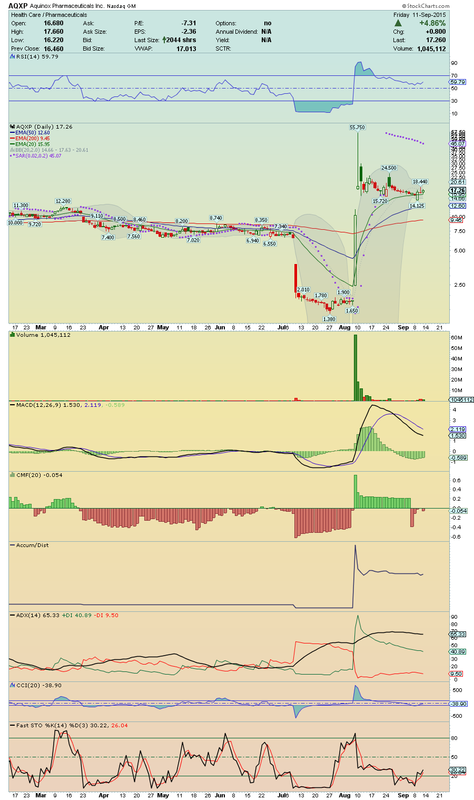 AQXP ----> With the fresh news released in After-Hours ( Baker Bros Advisors Buys 2,480,032 shares, click here ) ,and as it has 38% of Short Float, we should see a massive short covering on Monday!! This stock could double easily!! SkyRocket Candidate to watch!! KITE ---> Following my last Blog Post and now, that it broke above its Upper Bollinger Band Line, this is stock has a clean room to run up!! The Momentum is growing strongly as we can see in chart indicators and, as it closed near at High of the Day, it is also, a Gapper Candidate! 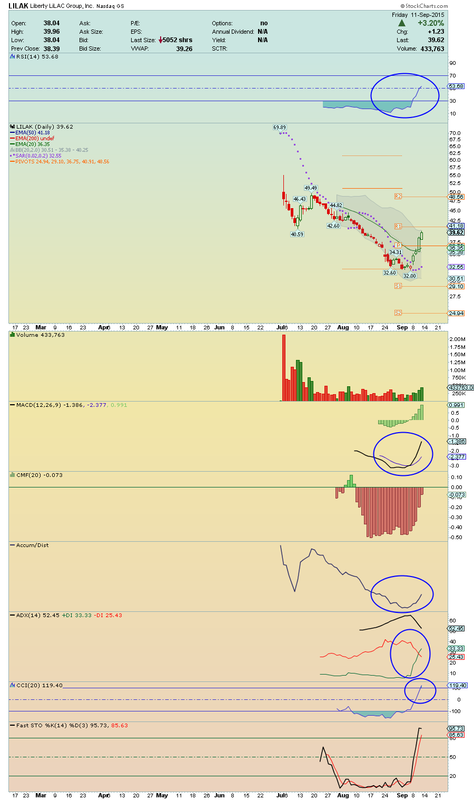 KITE is a nice Upside Runner Candidate that you should have in your watchlist! !